For Health Coaches, Life Coaches, Fitness Trainers, Business Mentors and all Coaches in between. It's time to have a beautiful presence online! Template Websites relieve the stress that DIY often causes most coaches. They bring you a level of confidence that you can afford. Now you can feel proud to share your website with the world! And you won’t have to fight with plugins or designs again. You’re a coach. What you do is help people. And DIY’ing your site stops you from doing what you are meant to do. Choose a Template Website and you get a site that’s ready for the world, as soon as you go live. Pre-written and ready that is designed to build your mailing list quickly. There are over 12 to choose from that cater to different niches of coaching, so you’re sure to find one that suits your work. That makes you look and feel professional because you’re not sending 14 emails back and forth to schedule meetings, making the whole process smooth. A blog page dedicated to your blog or articles. You'll also get 3 done for you and pre-written blog posts, to create an instant blog, added to your site to kick start your online presence. We include video tutorials and guides on how to maintain your site, add content, edit content and keep it up to date! You will be empowered to manage your site, not rely on us for changes. Because when you have the power of data in your hands, your business explodes faster. 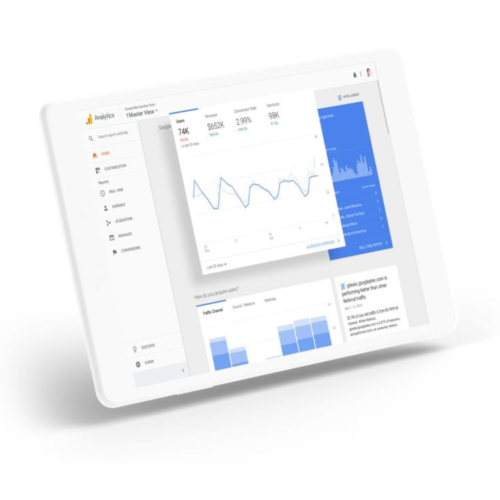 Includes our Google Analytics MasterClass so you can learn the in's and out's of your data. Because the power of WordPress is phenomenal and we want you to look good, no matter what device your site shows up on. 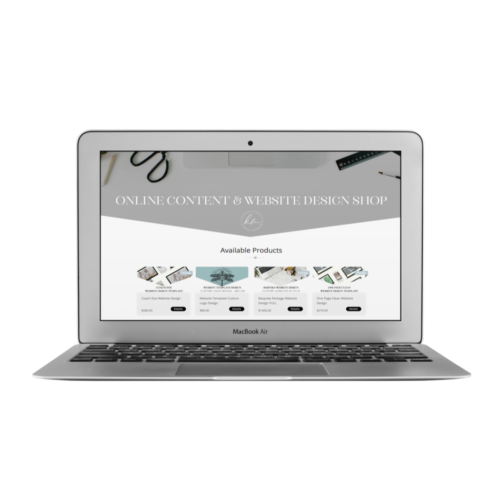 Each template website is different and we have more than nine to choose from, so please refer to each specific design in our shop to see how many pages and the type of content included. VIEW WEBSITE TEMPLATE DESIGNS NOW! A Template Website is a complete “let’s hit the ground running” package so you can start pulling people in as soon as your site is live. And the process to get to this stage is almost painless (because you have enough to do and we want to get much of this done for you as we can, with as little stress on you as possible). First, we design your logo, if you don't have one already. You choose your basic design, based on a template, fill in the logo workbook and we will get to work on it for you. For some logos, you get to choose the colors, for others they are best in one color. Or, if you’d like, we’re happy to design a custom logo for you, as well. Next, you get your copy together for your website...you know, the words and message you want to say to the world. Our workbooks guide you on what goes where to make it an easy process. The sites are all based on a template so it's fast! Submit your workbooks and you are done! We, then, start working on your website design once we have all the content to get started. If we have questions along the way, we'll email you and ask. We'll also let you know if your content doesn't quite work so you can tweak it and come back to us. From the moment we receive your completed workbooks and your logo is finalized, we get your website done within 7-10 days. After then we give you access to our client management system where you can leave comments on your live website. We go through a final check, changes and testing to make sure the website works exactly as it should and we go live for the world to see. You take the reigns and start marketing your business and editing your site as you evolve and grow! Et voila! Your coaching business is ready! At any time during the process, we can schedule calls or chat over email to stay in touch for maximum effect. And each Template Website comes with ONE ROUND of minor changes to the content. Layouts remain as is, however, as they are templates. Layout changes require an additional fee of $30USD an hour. "Working with Kylie and her team has been a wonderful experience. The entire process went so smooth and was incredibly easy. The workbooks provided were easy to follow and a hassle-free way of getting pics and copy to Kylie and her team. There was no confusion, wondering what my site will end up looking like or uneasiness about the end result. I was kept in the loop and knew exactly what to expect at all times. The turn-around time exceeded expectations. After I submitted my copy and pics my website was live within 48 hours! I highly recommend Kylie if you want a professional looking website and like working with dependable people who know their craft." 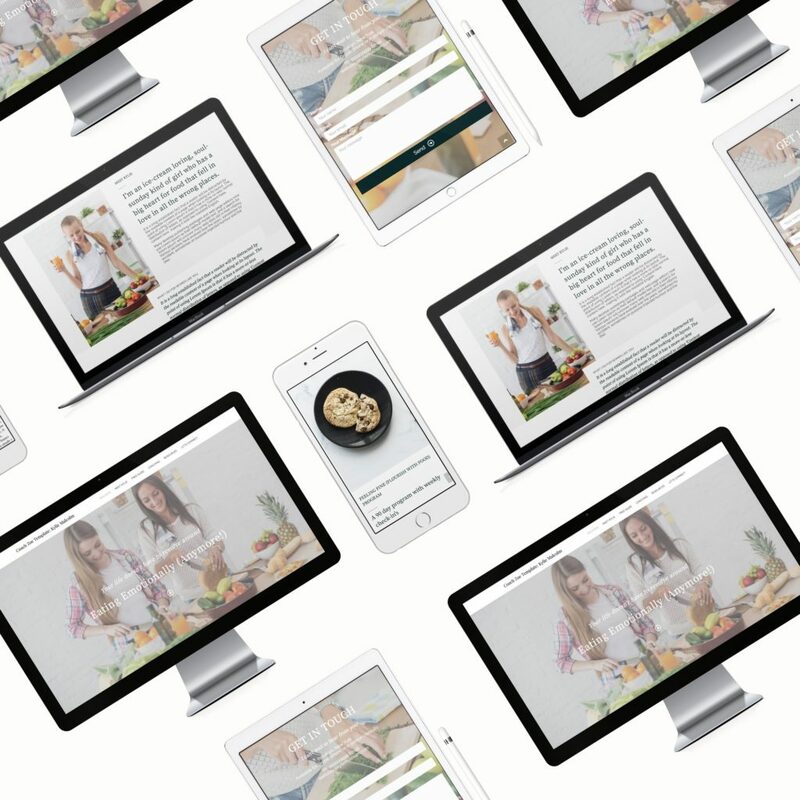 With all the workbooks and templates, your work is minimal with the Website Template Package, but your design will be optimal! BUT, why do I need an eBook? So since they serve such a powerful purpose, we make sure that the one you get is written in ways that do all of the above by solving a particular problem that your ideal client likely struggles with, making it content they will gladly give you their email for. And you can choose from topics like: 5 Days to Better Health, Healthily Handle Your Cravings, 5 Foods to Fuel Your Workout, Stress Reduction Guide and so many more! I have personally written each book for the coaches I work with. You can rest assured the content is relevant and valuable, so you start collecting names to your list as soon as your site is up and ready! If you already have your own ebook, don’t worry! We’ll upload it for you and create a special 3D mock-up to represent it on your site! "I am loving my site because it is so much better than the one I had. I feel so much more confident about being an entrepreneur now that I have a real website that I can refer clients and prospects to. You guys have been so wonderful to work with, even when things get a bit challenging, you remain patient and supportive. I look forward to continuing to work with you guys as my business grows. You guys ROCK!" 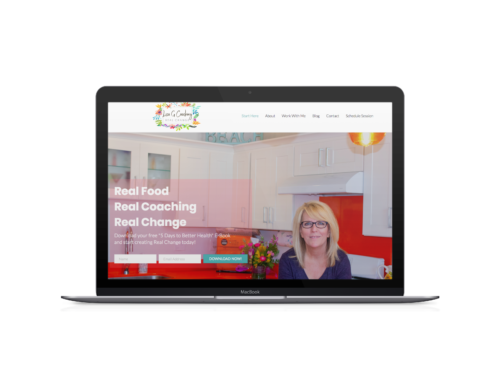 The Template Website is designed to give you so much value for your money because I know you are ready to stand out and shine in your coaching business, in the most affordable way possible. Who I am to want that for you? 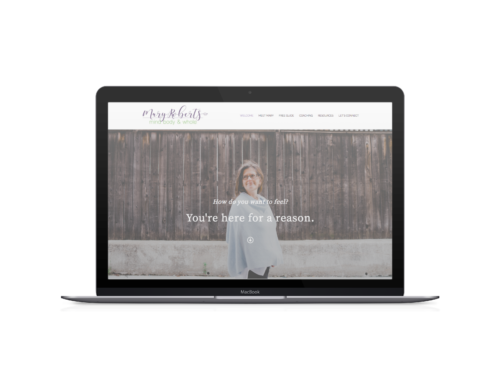 I’m Kylie, a Certified Health Coach who studied children’s nutrition for years for my own business before I started designing sites. Before that, I worked in IT and sales mentoring for over 10 years. So I get business concepts and I get health and wellness. Since then I’ve been a designer for coaches like you for years. High-end design is in my blood. And I bring everything I know about the visual art and the science of web design and template design to a level that makes you look and feel upscale, innovative, and unique. Design is the art and the heart of your site. It’s a place where you come to life for the ones you love working with most. And it’s something that I take very seriously. That’s why, no matter which template you choose, you’re going to get my best support and skills, so you can finally shine! That’s also why I make sure you have ALL the information you need to maintain your site and it’s beauty after I’m done with the design. 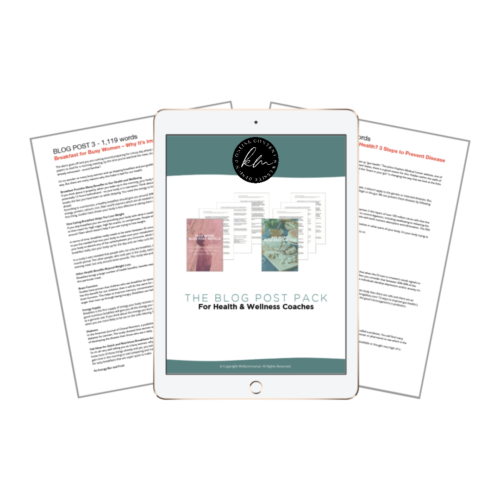 Tutorials and workbooks will help you make sure you can successfully upload your new blogs and content, fast and easy. And as you grow, if you need to add or tweak any content, it will be a breeze! Plus you’ll also get 30 days of email support to answer any questions as you transition and grow. You take your work as a coach seriously and you want to put your best self forward. 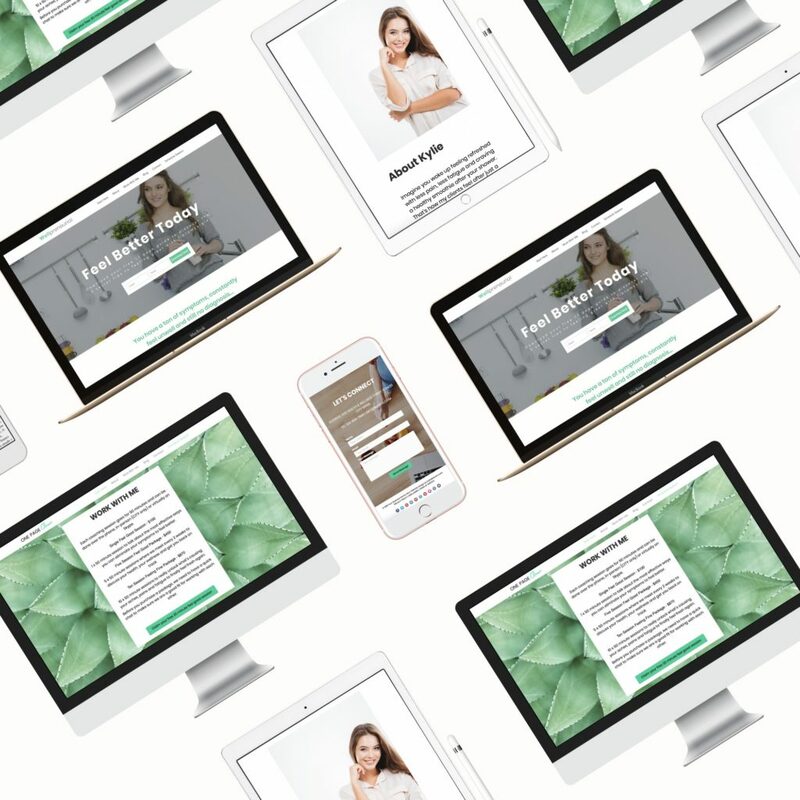 + Allowing you to choose a design that fits you, your goals, and your ideal clients, so that when they arrive at your site, they feel a connection right away. + Giving you tools that ALL coaching businesses need to have in place to begin growing an email list of clients. + Supporting you by making it easy to maintain and edit your site content as you need. You started your business so you could coach people and help them transform their lives. Not so that you could fight with web design. A Template Website ends the DIY struggle, gives you a site you are PROUD to show off and allows you to upscale your presence without breaking the bank. From the moment you pay, you will get instant access to your getting started videos, workbooks and guides. This means there is little to no time wastage on getting started on your website. All our websites require you to fill out online forms to submit your content which saves automatically if you need to come back to it. For each website there are 3 digital workbooks to fill out as you progress into your content. They also come with a printable or digital guide to help you fill it in, not to forget step by step tutorials. Once we have your forms, we'll get started on your website design. We'll always email you or reach out if there is missing information or something we aren't sure of! Design your logo - First, we design your logo if you don't have one already. You choose your design based on a template, fill in the logo workbook and we will get to work on it for you. For some logo's you choose the colors, for others they are best in one color. Craft up your content - Next you get your copy together for your website. The words and message you want to say to the world. Our workbooks guide you on what goes where to make it an easy process. The sites are all based on a template so it's easy! (Well, with the exception of bespoke websites, we custom design those.) Submit your workbooks and you are done! Design begins! - We then start working on your website design once we have all the content to get started. If we have questions along the way, we'll email you and ask. We'll also let you know if your content doesn't quite work so you can tweak it and come back to us. Final checks and testing - We go through a final check, changes and testing to make sure the website works exactly as it should and we go live for the world to see. Your business is ready! At any time during the process, we can schedule calls or chat over email to stay in touch for maximum effect. Each website template design comes with ONE ROUND of changes. + Free Ebook/Guide - prewritten for you and designed to build your mailing list and subscribers. 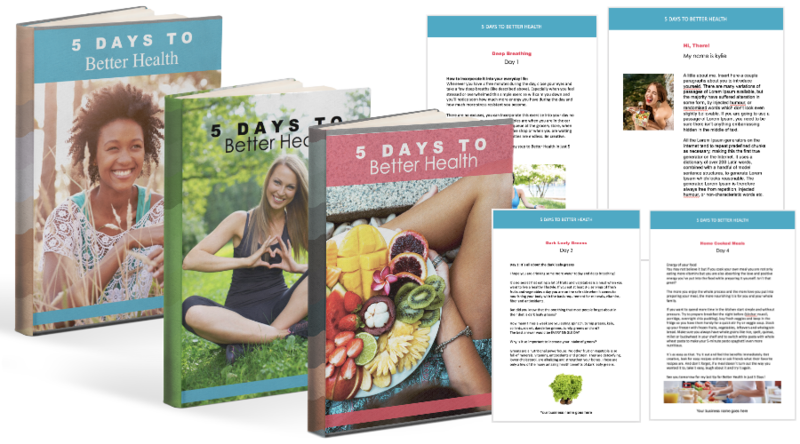 We have a range of topics to choose from: 5 Days to better health, Business planning toolkit, 5 food to fuel your workout, Stress reduction guide and so many more! +Blog & Articles - A page dedicated to your blog or articles. 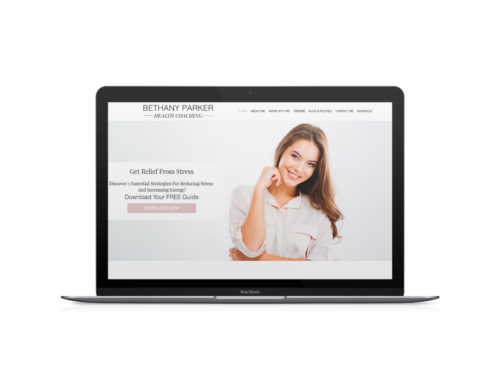 You'll also get 3 done for you and pre-written blog posts added to your site to kick start your online presence. + Tutorials for success - We include video tutorials and guides on how to maintain your site, add content, edit content and keep it up to date! Each website design template is different, so please refer to each specific design to see how many pages and the type of content included. What is the Ebook DFY? DFY means DONE FOR YOU. You get to choose an ebook topic that is professionally designed and written as a way to build your mailing list and subscriber count. We have 12+ different ebooks and guides that Kylie has personally written for coaches. 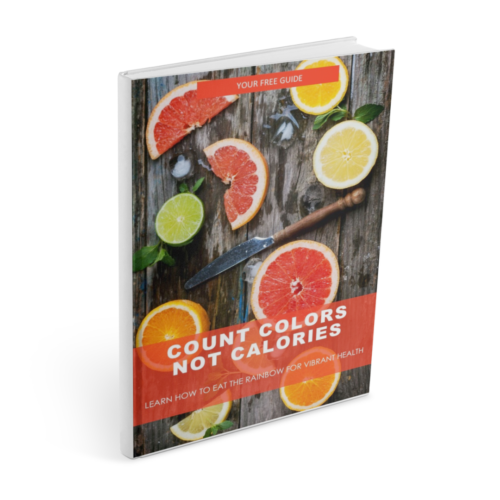 These vary in topics such as general health, niche health, business strategy, fitness, gut health and more! Have your own? That's fine! We have many coaches who bring their own ebooks or other done-for-you products. You can just upload it to your ebook workbook so we can set it up for you on your site and create a 3D mockup for you. Outside of that, the process happens pretty quickly to get you up and running. Most of our clients average 10 days after content has been received but we have some clients who get their content together pretty quickly after purchase. We don't start on your website until we have all your completed forms. This enables us to get your website done with focused intent instead of stopping and starting. You wouldn't want to stop and start with your coaching clients would you? What support do I get after going live? After you are launched, we give you access to tutorials and videos to guide you through maintaining your website (no matter which package you choose). 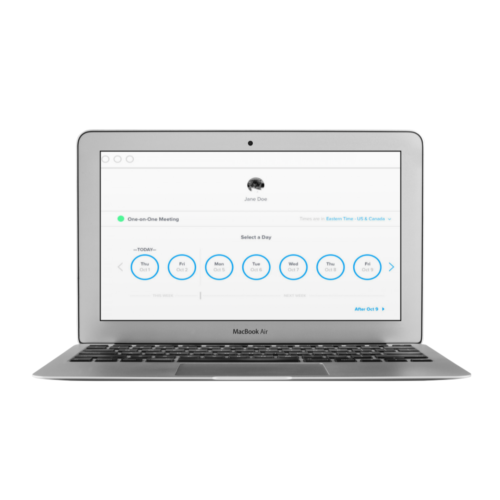 You'll also get email support for 30 days. If you need help on making adjustments to your site we charge $30 an hour. We ask that you pay only if you are serious about your website. If you feel your design isn't what you wanted or needed, we do everything we can to make sure you love it. 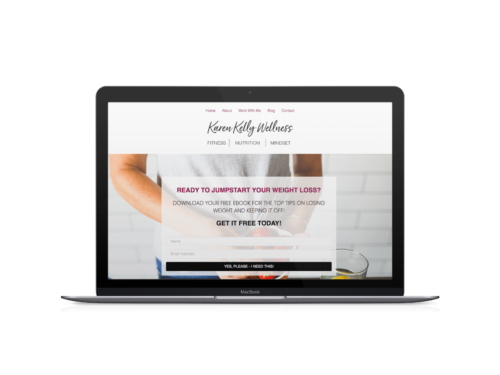 It's super important you choose your template design carefully before purchasing so that you can trust the process and have that gorgeous coaching site you've been after for so long. You can pre-purchase a number of licenses for your nutrition school students, copywriting course students, health coaching business students or business mentoring course. This means that you can get 10+ websites at a cheaper rate to include as part of your business offering. Get in touch with Kylie directly at hello@kyliemalcolm.com for more information on this and pricing levels. Can I get to know more about you? Cool! We have a ton more answers! "I absolutely love my one page website. The process was detailed yet and seamless and painless! 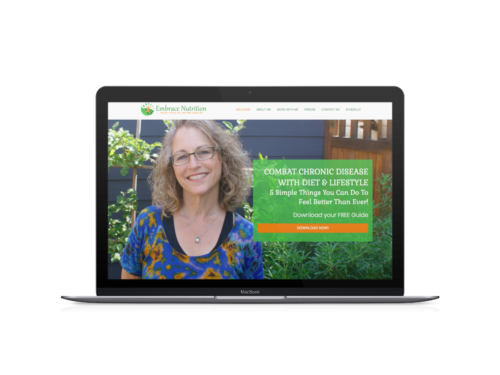 The support and information during the building if the site was key, culminating with a personalized website created for me that is beautiful and a perfect representation of my brand." WANT TO SPEAK TO KYLIE? There are a limited number of calls each week for free website chats. If you aren't sure which package or template, simply book in a time to speak with Kylie on her calendar today. Please remember that Kylie helps coaches all over the world so calendar times are open at different times for different timezones. Can't find a time? Just send us an email, we'll try and book you in manually.